The bedroom looks like a room which has little wall space, but is full of window panels. 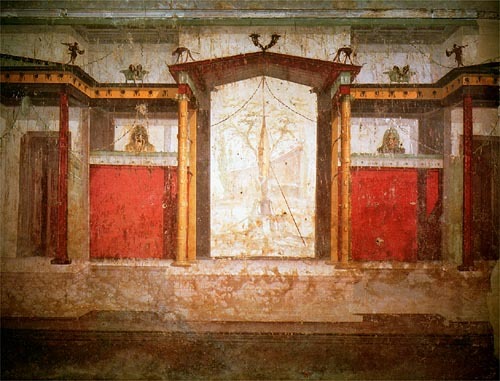 The outside seems to have been brought right into the room by the use of paint and perspective. 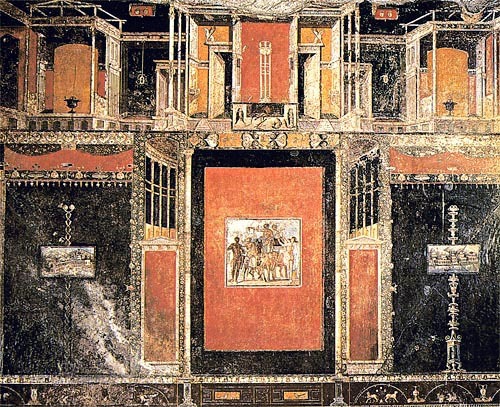 The master artist had painted the panels to look as if they were actual scenes that a person would see if looking out a window. 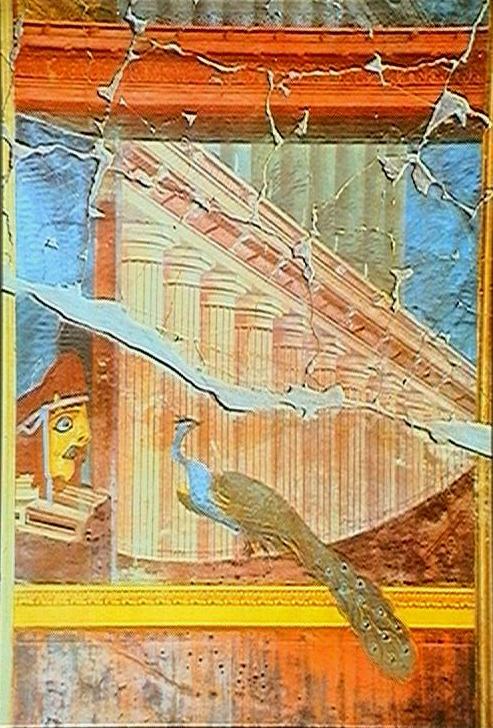 From the end of the reign of Augustus, a more delicate and colourful style of fresco. It was enriched by Egyptian art, and was later referred to as the Egyptian style. 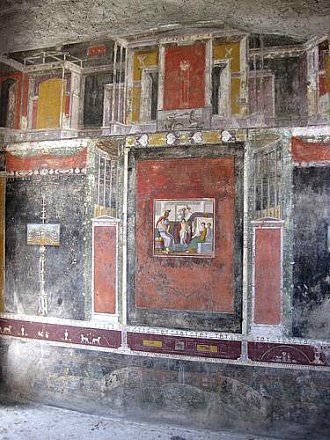 From the end of the reign of Nero till 68 AD, this style of fresco was referred to as the 'ornamental style' and was marked by a taste for architectural vistas. scenes of Troy and the underworld, and Micon the more recent, but heroically conceived, struggle for freedom at Marathon. 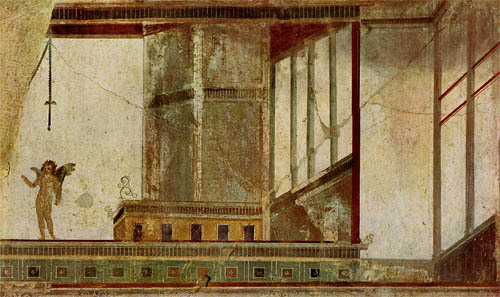 panel to the great wall compositions which were the closest Greeks had come to the treatment of eastern or Egyptian walls. styles of the Italian renaissance. tentative fashion, on a number of minor Hellenistic reliefs but was to be more fully exploited only in Roman times. window opening upon another world, and occupied by sacred landscapes or mythological figure-scenes. 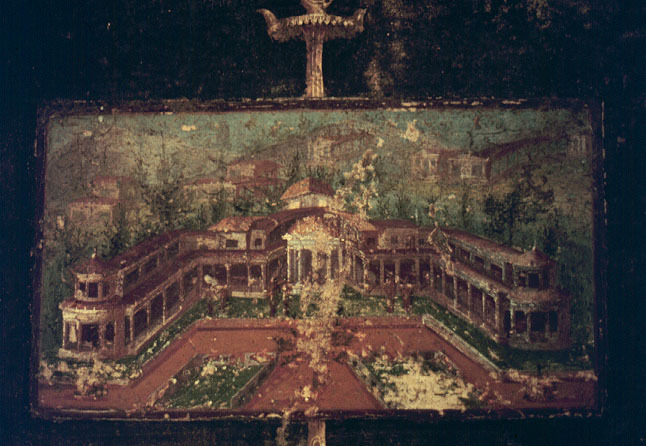 landscapes of the Villa of Agrippa Postumus at Boscotrecase (below, pp. 778 f). aspects are dealt with elsewhere (Chapter 32); here we must examine its function and its meaning to the householder. 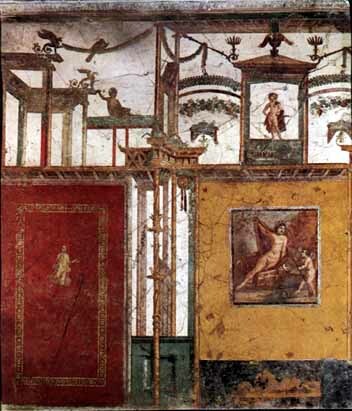 of the Lullingstone villa, with its Bellerophon and Europa mosaics, is a case in point (above, p. 634). 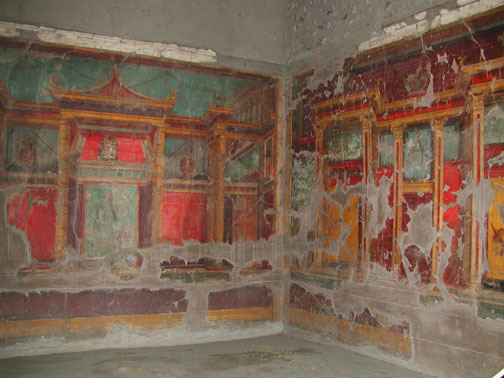 murals from Primaporta, which turned the room into an open-sided pavilion set in a magic forest. collected copies of the Laughing Cavalier or the Mona Lisa. This was one means whereby the nouveaux riches could make a display of their culture. for the march, foraging for supplies, building camps, engaging the Dacian foe-delineated with supreme attention to detail. 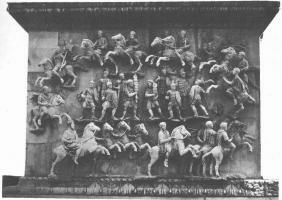 of a funeral procession, each with ten foot soldiers of the Praetorian guard encircled by seventeen horsemen. 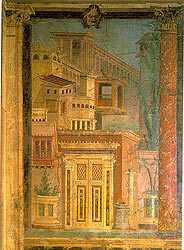 Severus in the Roman Forum (A.D. 203). 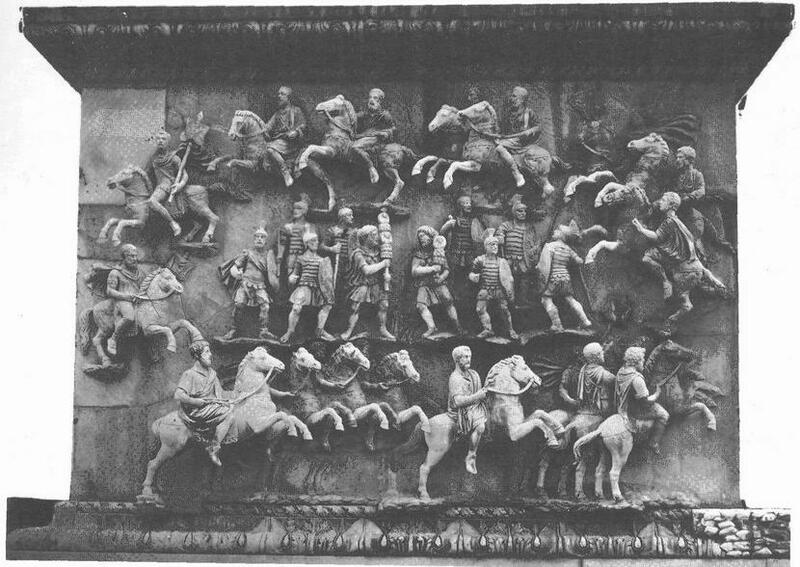 middle, with the cavalry passing in front of and behind them.